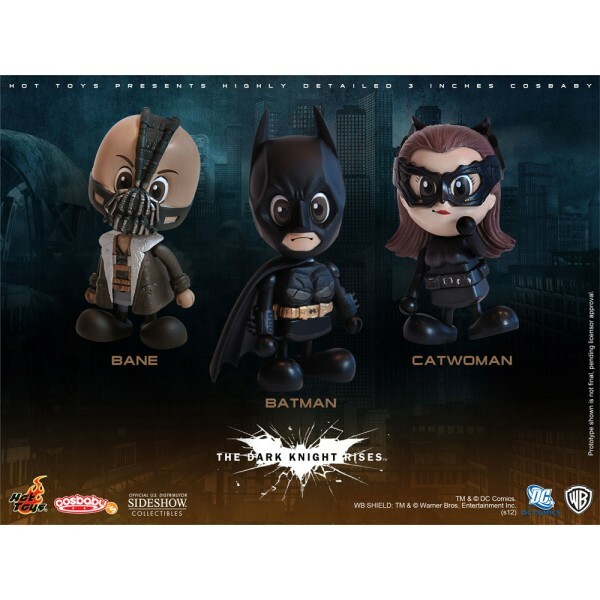 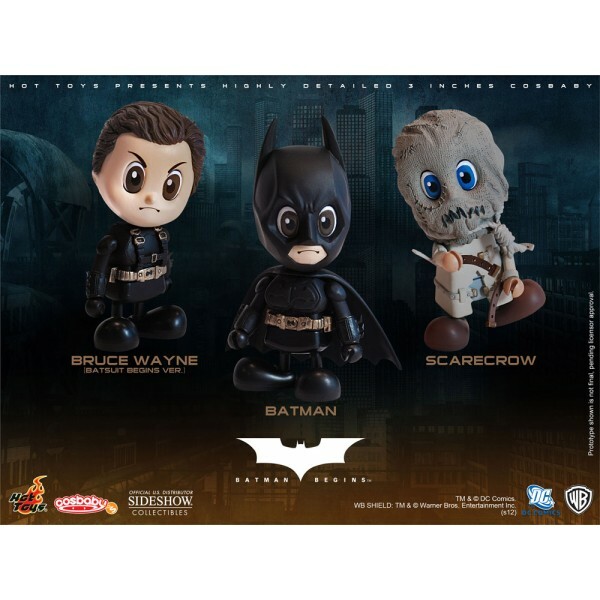 Celebrating the epic Batman trilogy, Sideshow Collectibles and Hot Toys are proud to present the Batman (S) Series Cosbaby Set, featuring all three sets, Batman Begins, The Dark Knight, and The Dark Knight Rises. 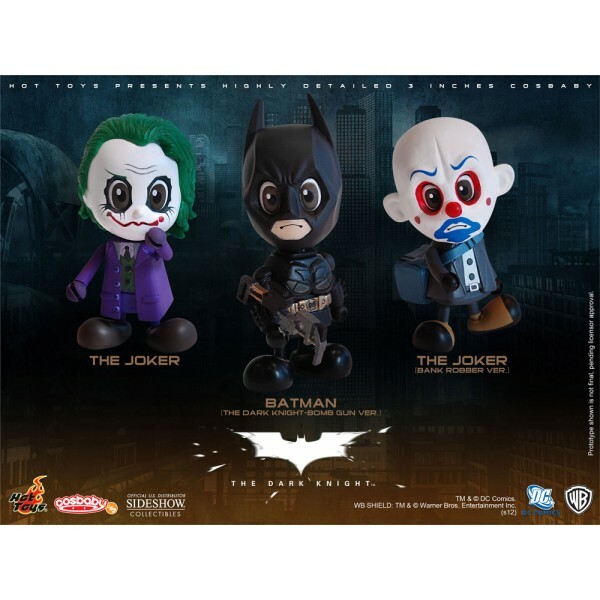 Each cosbaby stands approximately 3 inches (8 cm) tall, featuring your favorite movie characters in baby form with unique designs in a one-of-a-kind format. 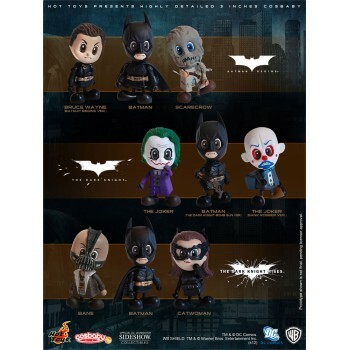 Each set of Batman Cosbaby (S) Series includes nine cosbabies in individual boxes.